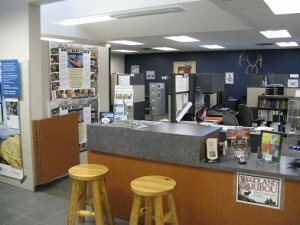 The Woodland Caribou Provincial Park office is conveniently located on Howey Street in beautiful Red Lake. Please feel free to drop by and pay us a visit! Friendly staff are usually available to answer any questions you may have regarding maps, routes, fire and portage conditions or any other queries you may have. 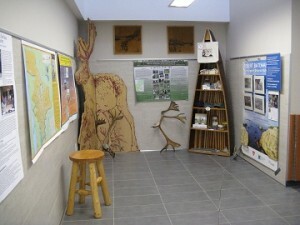 Park Permits are also available at the office or you can use the self-serve kiosk located at the Red Lake Heritage Center or your local outfitter. 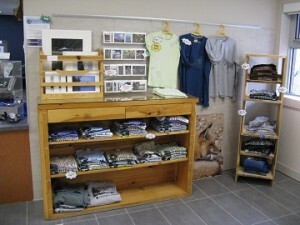 The park office also features a small gift shop where you can browse through collectibles, photo prints,and clothing. The park office would be grateful for any support fellow paddlers may offer.